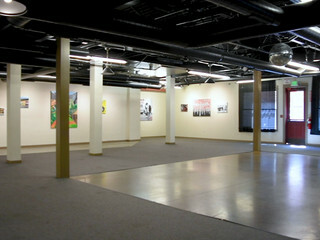 Deep Space Event Center is a unique venue with the largest private art gallery in the Victorian area of Parker Colorado’s Creative District. 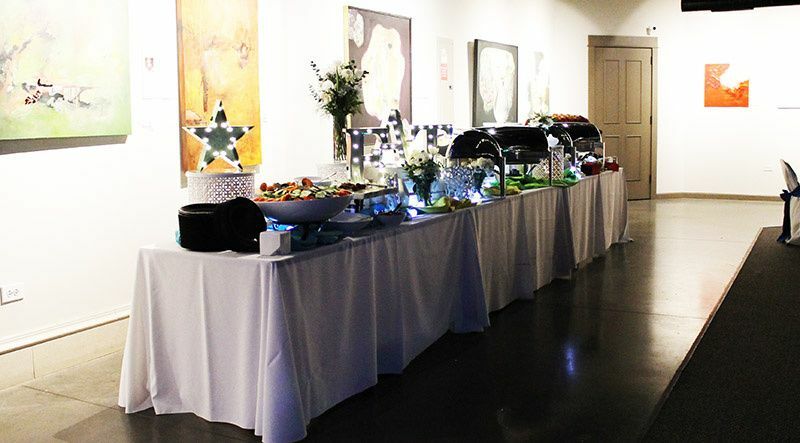 The open floor concept can take on many different configurations giving the couple the opportunity to be creative and create their dream wedding. 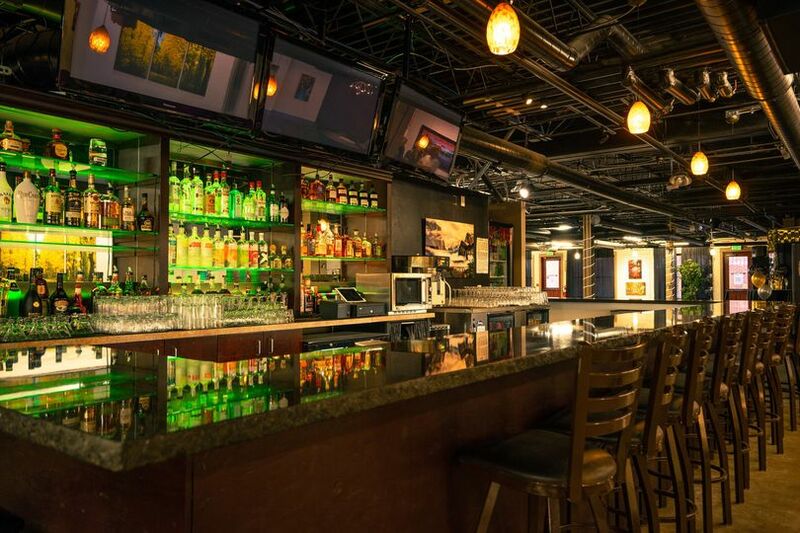 This exceptional location has easy access to 2 large public parking lots. 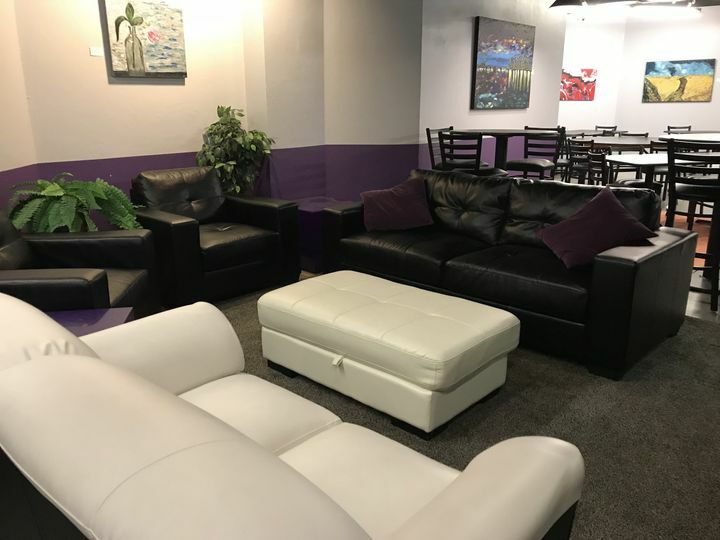 Ray Engelke has worked in the hospitality industry for over 25 years and he and his wife Antoinette are the owners and have found that making couples dreams come true is what they were meant to do. 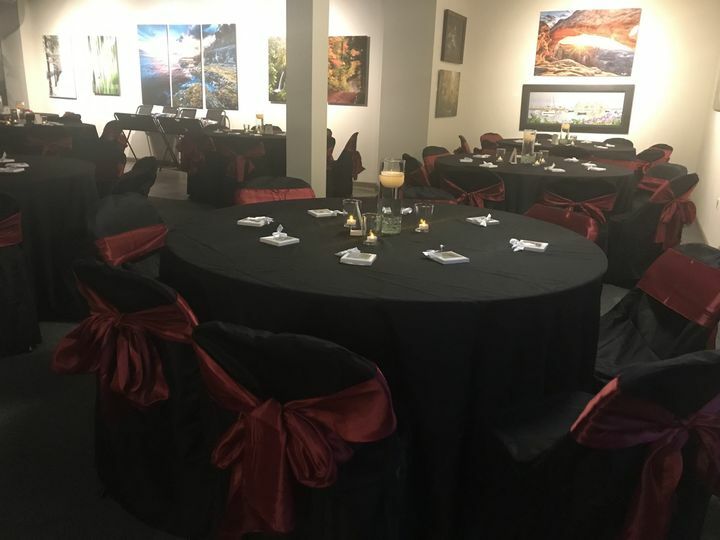 The flexibility of the space, the art gallery and beautiful large fully stocked granite bar will make for a unique and memorable wedding ceremony and/or reception. 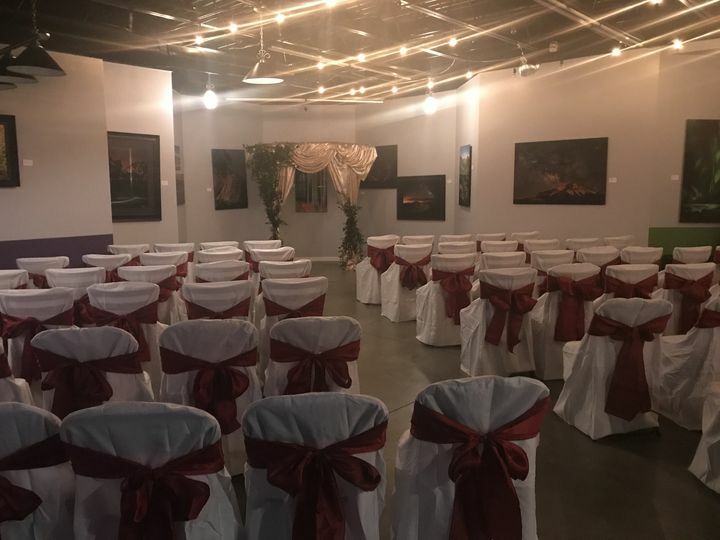 Couples can invite up to 400 friends and family to Deep Space Event Center and can choose from uncovered outdoor and indoor ceremony options. 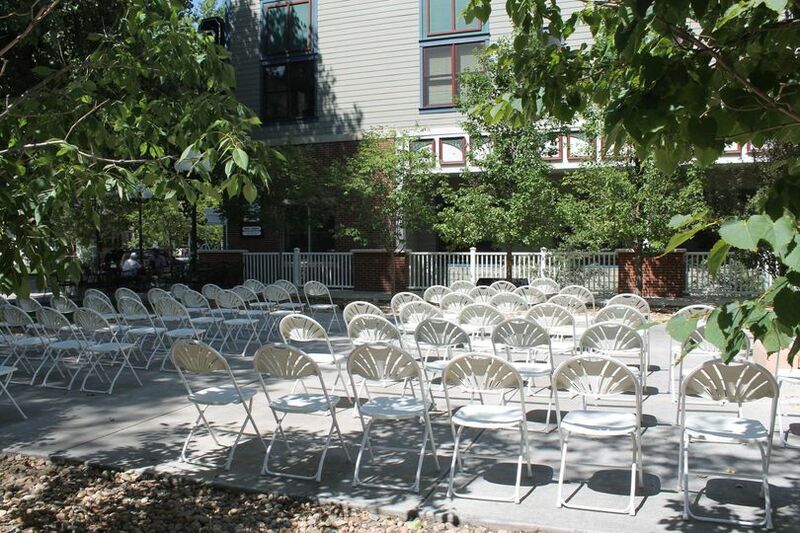 Outside, the uncovered ceremony lawn, which is a popular outdoor ceremony setting, can hold up to 200 seated. Indoors on the lounge side can hold up to 150 seated, and after the ceremony while the couple is having pictures taken the guests can move into the bar area, sit on comfortable leather couches and enjoy hors d’oeuvres with high end cocktails, Colorado Craft Beers and/or Wine. 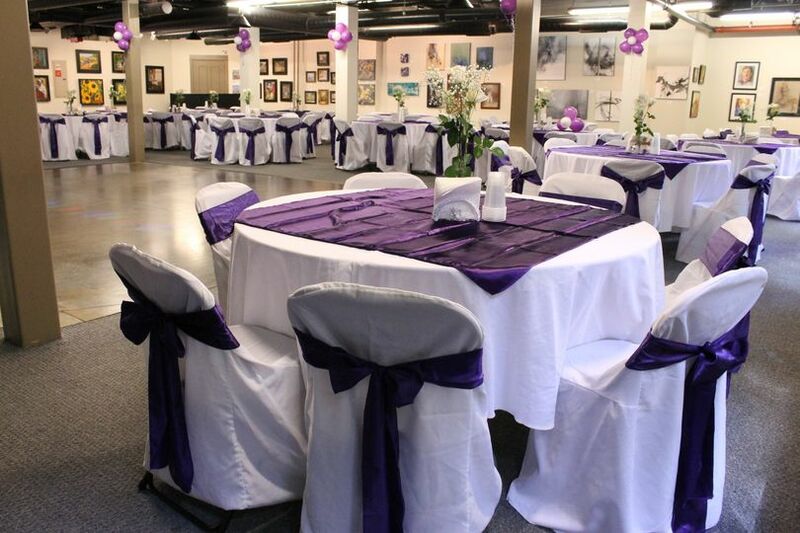 The event center will stay pristine with the banquet tables during ceremony / cocktail hour. 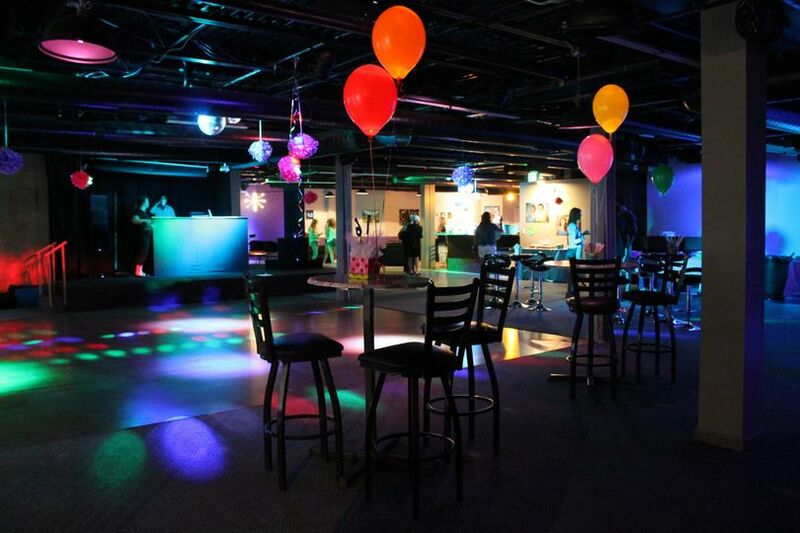 Guests will be moved over to event center just prior to announcing the couple. 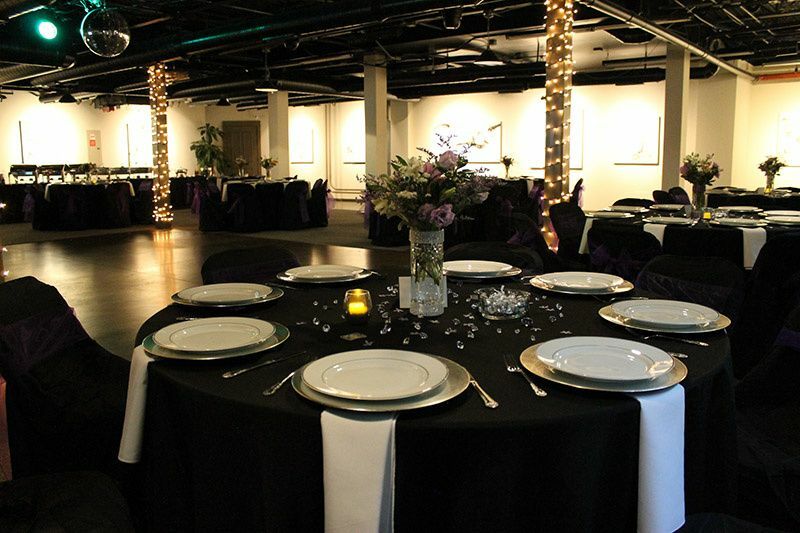 The event center can hold up to 240 seated banquet style for dinner. Deep Space does not have a kitchen, but does have a prep area for caterers.